Rick Wiles is joined by Chris Martenson, founder of PeakProsperity.com, at the 18 minute mark of today’s TruNews to talk about the relationship between food prices and civil unrest. 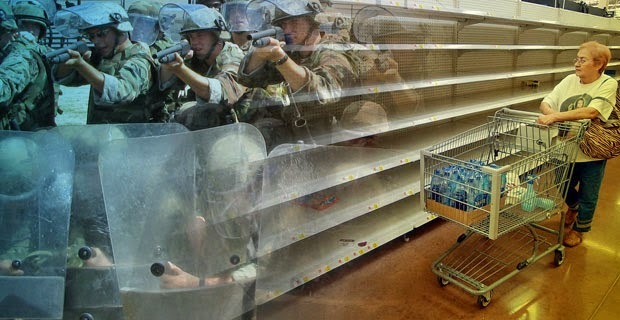 With civil unrest breaking out across the world at the current time and food price spikes also here in America, what are the deciding factors which help persuade a populace to cross the line to violence? Is America heading in that direction? Rick begins the program with today’s news from around the world and later in the show is joined by Dr. Robert Lustig who is a pediatrician who specializes in diabetes and obesity research. Dr. Lustig shares with us the toxic truth about sugar that the govt and food industry doesn’t want us to know. He also shows us how the food industry has deceived the American public using the assistance of politicians and ‘pseudo-scientists’.